Good board, does what is asked and has plenty of options for overclocking. from completed build The Challenger! Heard a lot of people having issues with this board on NewEgg but I am yet to have an issue with it. I like all the USB ports and the built in audio card is fantastic! Okay board for the price. Not good for overclocking, kind of a poor design. Sweet looking board and there were no problems. Motherboard has enough features for what he's using it for so it's fine. from completed build Hol' - First Ever Build (Budget of roughly £450) AKA "Murphy's Law"
Good solid, cheap, budget mobo. Good features, USB 3.0 headers, good I/O features (I/O shield is a little cheap but w/ever.) Three fan headers + CPU fan, Great on board audio in my opinion. Something to bare in mind is the power phase of this motherboard, it only uses 4 +1, this means it is NOT good for overclocking as the board cannot handle large increases in voltage. The mobo is very important for OCing, but for non OCing purposes this is fine. BIOS is decent enough. I have certain issues with this mobo. if you are a heavy overclocked this is not one for you. I have noticed that the read/write speed of the bus is not that high if you compare it with Asus or MSI. Sometimes all the USB 3.0 jacks stops working abruptly and then you need to re-install drives. I would suggest to but a 990FXA series board rather than this. 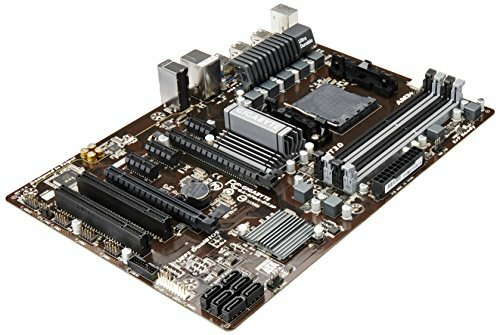 Cheap, but pretty good motherboard for small budget.